What is in Store During U Htin Kyaw’s China Trip? 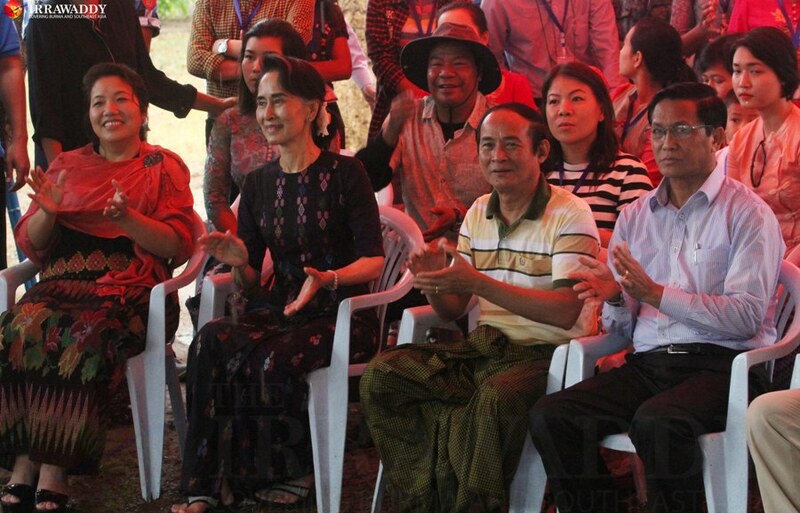 NAYPYIDAW — State Counselor Daw Aung San Suu Kyi made a special appearance at a pavilion in Naypyidaw during Thingyan, one of the high points that locals say has made this year’s water festival the best in recent memory for Burma’s administrative capital. The State Counselor joined the celebrations on Thingyan eve at “Taichito’s Pavilion”—named for her pet dog—near her residence on Mya Nan Bon Tha Street in Zabuthiri Township. Other senior leaders soon joined the party at the small pavilion, built from coconut fronds for Daw Aung San Suu Kyi’s bodyguards. 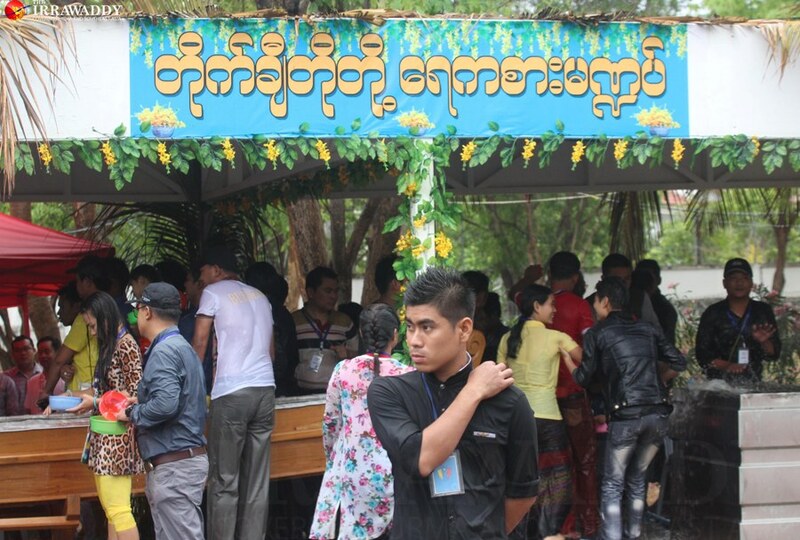 After her appearance in the afternoon, Naypyidaw Municipality secured the pavilion with an iron frame. Senior leaders who live near the pavilion, including Lower House Speaker U Win Myint and the Commission for the Assessment of Legal Affairs and Special Issues chairman Thura U Shwe Mann, also graced the stage. Police said there were two crimes and one injury in the city throughout the water festival. Overcrowding at Naypyidaw’s hotel zone, formerly the only area with large water-throwing pavilions in the city, has been a source of fights and road accidents in past Thingyan festivals, according to locals. This year, however, every township had water-throwing pavilions, which locals said alleviated the problem of overcrowding and fighting. 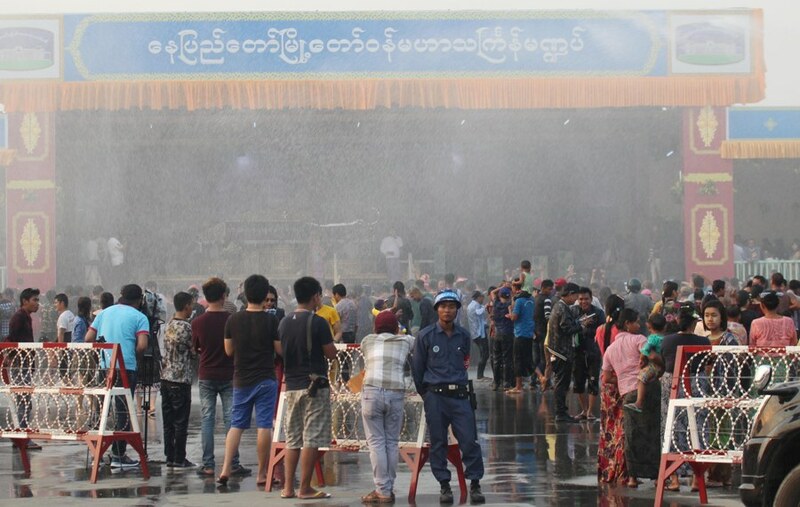 Naypyidaw’s liveliest celebrations of Thingyan were once found at the water-throwing pavilions in Zabuthiri Township, which hoteliers said they erected on the orders of authorities. But this year, they reported not receiving any instructions and so did not build the stages. This pushed the party to Pyinmana, Lewe, and Tatkon and other townships, which were founded long before the establishment of Naypyidaw, where locals declared this year’s water festival the best in a long time. Ko Thein Than Oo, chairman of Pyinmana Youth Network, a civil society organization in Pyinmana, said, “This year’s Thingyan was not only lively in the township on the whole, but also in every ward in the township. There were two big pavilions in the city—the Naypyidaw Mayor’s Pavilion by Naypyidaw Municipality and the pavilion by the office of Burma’s commander-in-chief in Zayarthiri Township.